It is an honor whenever the Rotary Club of Clearwater East is able to host visiting Rotarians from all over the world. One of Rotary's great traditions is for visiting Rotarians to exchange club banners with the clubs they have visited. Each week we will be sharing one of the many banners we have collected over the years until we've gotten all of them online. We invite you to visit these clubs during your own world travels, and don't forget to stop by our club if you are in the neighborhood. 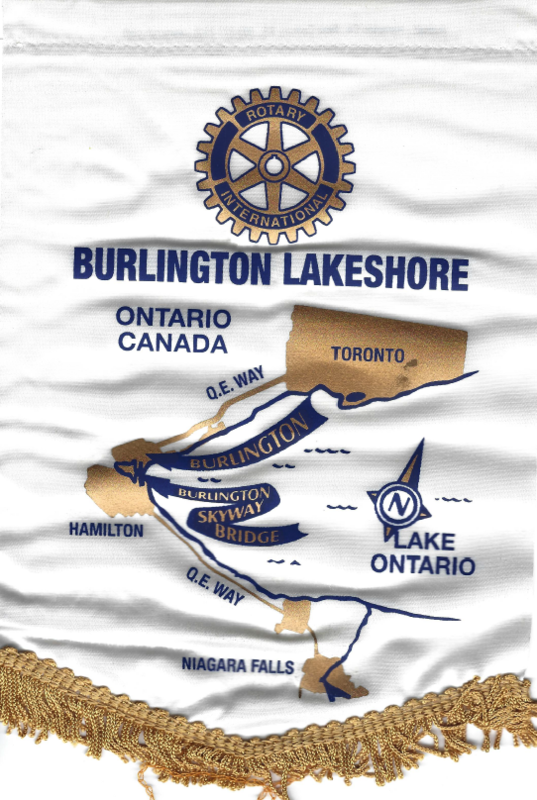 From their website: Rotary Burlington Lakeshore is a group of dynamic men and women who enjoy fellowship - and are dedicated to making a difference in our local community and the world through local and international projects or by helping local people in need or by supporting charities that work locally to help even more people throughout Burlington and Halton. They meet every Tuesdays at 12:15 PM for lunch ($20), at the Art Gallery of Burlington (1333 Lakeshore Road, Burlington, ON L7S 1A9, Canada).